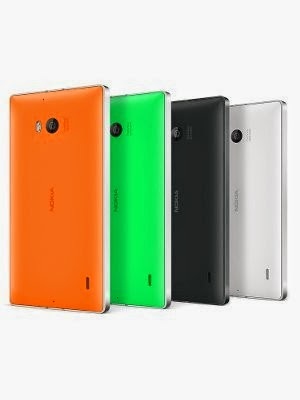 Nokia has been working overtime to bring more and more Windows Devices in the market. 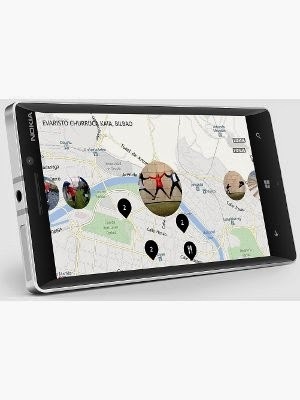 We recently saw them launch some powerful devices like Lumia 1020 and Lumia 1520 running Windows Phone 8. The previous Nokia flagship device, Lumia 925 was due for an update and they needed a new flagship device to accompany the new version of Windows Phone. The Lumia 930 was showcased recently with two other devices running Windows Phone 8.1. They have made some major changes in this version of Windows Phone and have taken care of a lot of features that were missing in the previous versions. This operating system is still evolving and is getting better with every new version they come up with. This time they have added the Action Center and the option to change the background of tiles. There are various other changes they have made that we will talk about later. 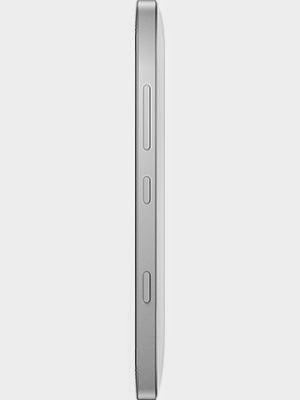 Here is a closer look at what this upcoming Nokia flagship is like. The device measures 137 x 71 x 9.8 mm and for a device with 5 inch display, they have kept the dimensions well in control. It can easily fit into your hand and you won’t feel the bulk. The device has a metal shell with the plastic back plugged into it similar to the Nokia Lumia 925. Though they have done a better job here and it doesn’t look like an incomplete job as on Lumia 925. They have trimmed down the bezels to make sure the increase in screen size doesn’t take its toll on device dimensions. The device is a bit on the heavy side when compared to other 5 inch devices but still at 167 gms, it is a whole 17 gms lighter than the Lumia 920. The built quality is superb and you won’t have anything to complain about. The metal shell with a sturdy plastic back looks and feels classy. The device would be available in green, orange and white. On the top of the device, you will find the micro SIM tray. While the trays on most devices require a SIM removal tool, this one can be opened with a fingernail. The headphone jack sits on top of the device, right in the middle. Overall we were really impressed by the design of this device and have no complaints against it at all. Just a while back, Windows Phone devices were lagging behind in terms of display due to software restriction. It used to support limited software resolutions back then. Soon came the new windows phone update and windows device with quad core processor and full HD display started coming in. the Lumia 925 had a 4.5 inch semi HD display while this one has a 5 inch full HD display. The display is an AMOLED panel with the Nokia ClearBlack branding. The display is pretty impressive with well saturated colours. Windows phone has got black in abundance and they don’t get better than this. The display shows off the windows phone blacks very well. A pixel density of 441 pixels per inch means that the display is super crisp and is there with the android devices that stand against it. The display comes with Gorilla Glass 3 which is pretty standard on any mid-range or high end device nowadays and protects the display against scratches and light damage. The device is not only better on the outside but it is better on the inside as well. It runs Qualcomm Snapdragon 800 chipset with a quad core processor running at a maximum clock speed of 2.2 GHz. The android rivals have started using Snapdragon 801 but the differences are negligible. It has got Adreno 330 GPU and 2 GB of RAM. The hardware is more than plenty to keep Windows Phone running smooth. It hasn’t got a micro SD card slot but 32 GB of storage should be sufficient for most users. You also get 7 GB of storage on One Drive that you can use. For connectivity it supports HSDPA with download speeds up to 42.2 Mbps, LTE up to 150 Mbps, Wi-Fi 802.11 a/b/g/n/ac, Bluetooth 4.0, NFC and Micro USB 2.0. The hardware is powered by a 2420 mAh battery. Nokia has given us devices with impressive optics in the past and this one has got an impressive camera as well. It has a 20 megapixel primary camera that measures 1/2.5 inch. It has also got optical image stabilisation. You get excellent level of details from this camera when the light is good. The pixel size is small. The camera has got Carl Zeiss optics. The camera app is slightly tweaked with the addition of new filters and manual control options. This is one of the first devices to come out with the Windows Phone 8.1. There are a lot of changes they have made to this version of Windows Phone. The start screen can now have up to six columns of tiles. While on the previous versions, the tiles used to have solid colours, on this version, you can choose a background for the tiled interface. Another prominent change here is the addition of a notification center that they call the Action Center. You can access this by swiping down from the top like on android. You can control what apps can display notifications and see your notifications here. You also get four quick setting tiles here that can be customised. Like Siri on iOS, they are bringing in Cortana, a voice assistant for Windows Phone. This is a really impressive device and stands strong against the android rivals. Earlier windows devices used to be dull in terms of hardware but now they run equally powerful hardware. The operating system has also improved considerably. The camera on this device is pretty impressive and you will love it if you use your mobile camera a lot. We are really finding it hard to find a major flaw in this device. 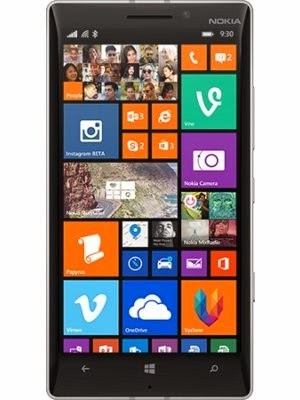 Also you can get information of nokia lumia 930 expected price here.